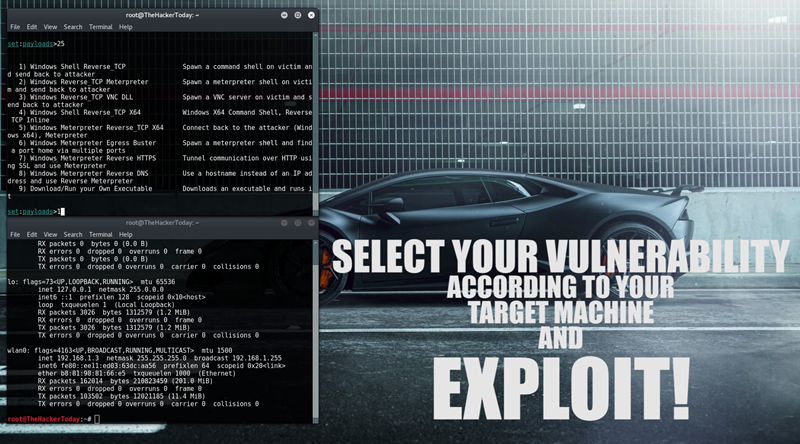 Get a reverse shell by Targeting Exploit in Internet Explorer. There’s tons of vulnerabilities to exploit internet explorer and get meterpreter or shell depending on your target machine which OS he’s running. Tool: setoolkit which is pre-installed in Kali Linux.